This Friday (December 16th), just in time for Christmas, Catholics Come Home® begins airing a massive, national prime-time network television evangelization initiative airing December 16, 2011 through January 8, 2012. Catholics Come Home® is an independent, non-profit Catholic apostolate out of Roswell, GA.
Catholics Come Home® hopes to inspire as many as one million souls to come home to local parishes. 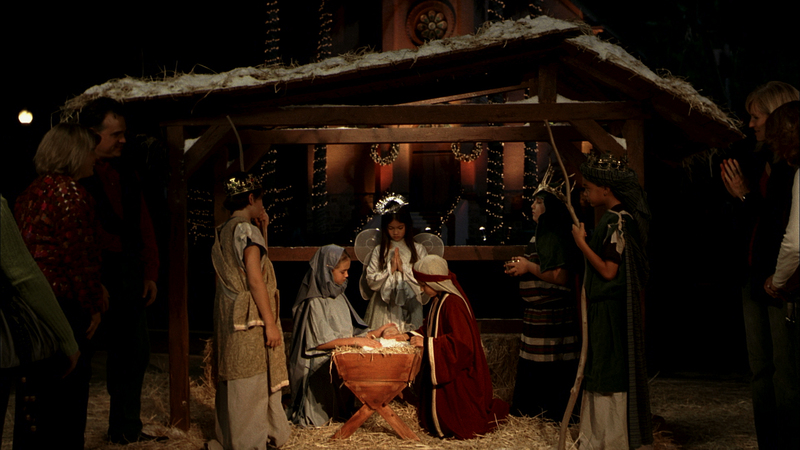 This Friday (December 16th), just in time for Christmas, Catholics Come Home® begins airing a massive, national prime-time network television evangelization initiative airing December 16, 2011 through January 8, 2012. “With the Presidential Primaries starting and the U.S. Presidential Election just months away, Americans are looking for someone to help answer their most critical needs. Over 38,000 families, coast to coast, are so certain that Jesus delivers our true hope and real change that they are investing nearly $4,000,000 into this inviting, albeit countercultural, grassroots message” says Tom Peterson, President and Founder of Catholics Come Home, Inc.
Presidential political ads will soon need to share the national spotlight with these bilingual evangelization ads, blanketing the prime-time network airwaves and highlighting the benefits of Jesus and His Church. The Hollywood-quality ads will reach 250 million television viewers in over 10,000 U.S. cities in every TV market throughout the United States, airing over 400 times during the Christmas and New Year’s seasons. The Catholics Come Home® commercials air on major networks including: CBS, NBC, Univision, TBS, USA, TNT, CNN, Fox News, etc… during shows like 60 Minutes, NCIS, Bones, NBC Nightly News , the Today Show, Jay Leno, O’Reilly, major College Football Bowl Games, and highly rated sitcoms. Viewers will be directed to their local parish, or can learn more at CatholicsComeHome.org or CatolicosRegresen.org. Catholics Come Home® hopes to inspire as many as one million souls to come home to local parishes. This evangelization goal is based on statistical census results from Catholics Come Home® local media initiatives that have aired in 30 past partner dioceses, ranging from Chicago to Seattle and Boston to Phoenix. Where these ads have aired, Mass attendance has increased an average of 10%. In the first dozen dioceses, the ads helped lead over 300,000 people home to the Church, just since Lent 2008. According to a recent CARA Catholic Poll (CCP), only 33% of U.S. Catholics attend weekly Mass. That means 42.7 million, or two-thirds of U.S. Catholics are not going to Mass. The number of Americans identifying themselves as non-religious/secular increased 110% from 1990 to 2000, now 13.2% of the total population. The average American spends 38 hours per week consuming media, with TV and internet being the top two choices. “These inspiring messages are sponsored by tens of thousands of Catholics who want to invite neighbors, relatives, and co-workers to ‘the largest family reunion in modern history’. Our true hope and real change won’t come from Washington D.C. this Christmas. The answers to our most critical needs come from Heaven via a manger in Bethlehem, where Jesus continues to change hearts and our world for the better! ” said Catholics Come Home President and Founder, Tom Peterson.